Lamps are one of the items I love creating. The design has developed over the last 8 years and is always changing. 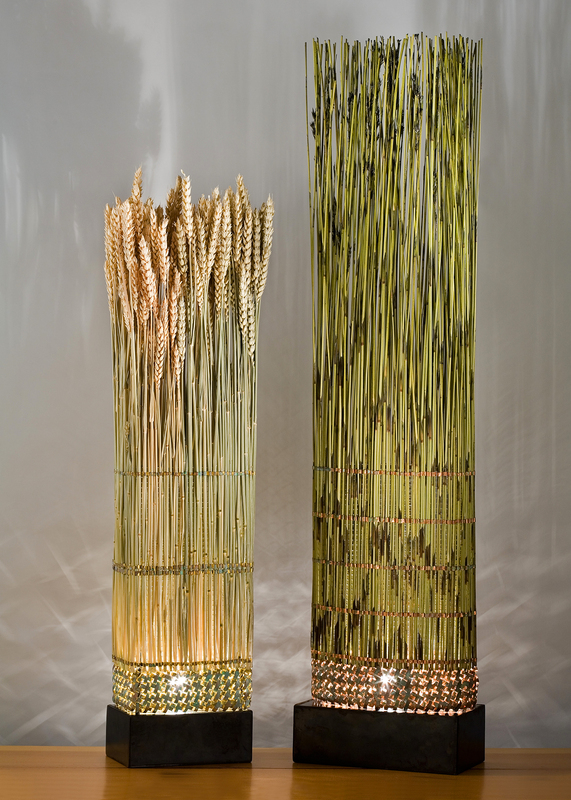 Each lamp is distinct and unique and made with a variety of materials-willow, cedar, coloured metal strips, reeds, and grasses. I just finished a lamp made of wasp nest paper. I will try any material as long as it works and looks good. 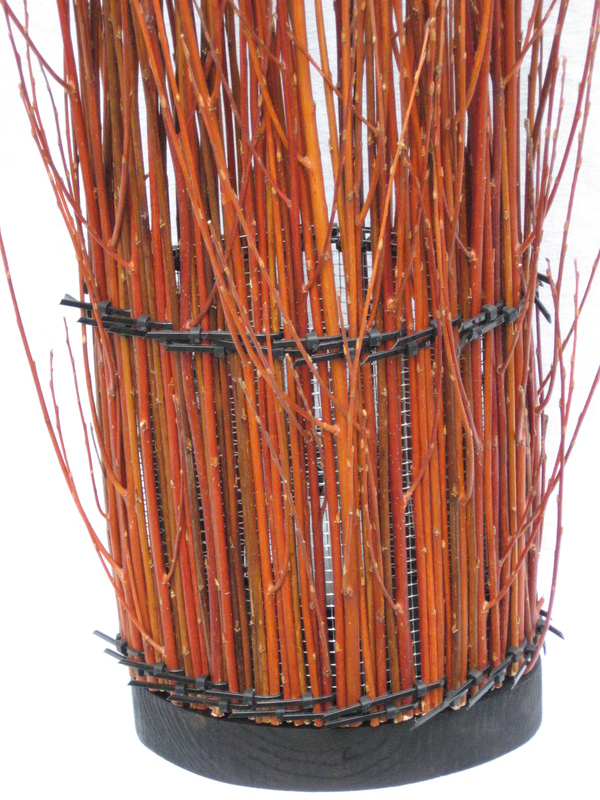 These materials are woven onto a frame with waxed linen thread, wire, or cane. I will never forget when I plugged in the first lamp I made and saw the shadows cast upwards. It is a surprise in waiting for each owner. 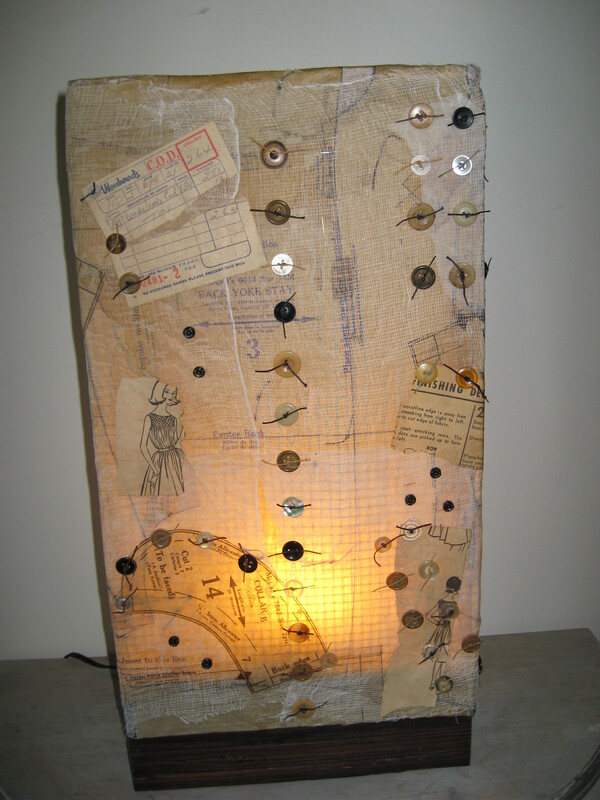 I am experimenting with mixed media lamps now after having taken many different courses while completing the certificate in fine arts at Emily Carr Art + Design University. I recently took some print making courses and loved the immediacy of the process. For me it is a great way to draw and paint with imperfections being a delightful part of the outcome. As with all my work the natural world provides inspiration. Congratulations Melanie – what an absolutely gorgeous and inspiring blog! 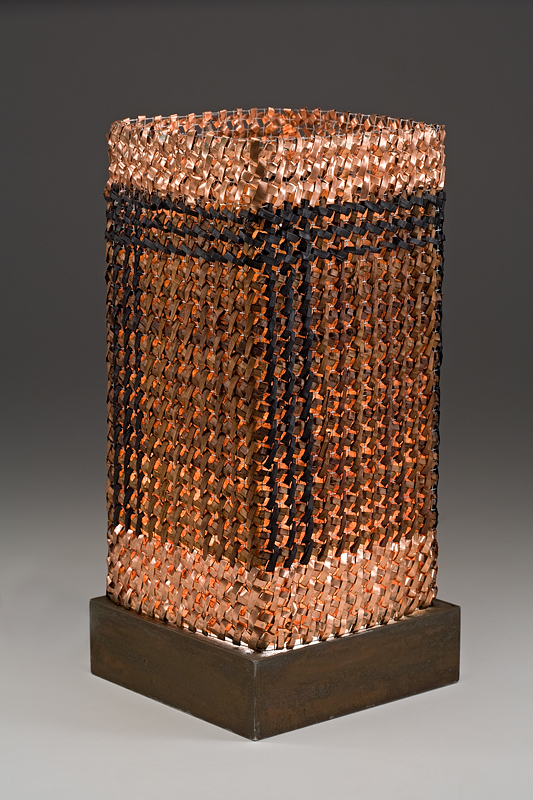 I would posit that this is “art” rather than “craft” though. In my mind you are evolving into a talented artist! Wow have you ever evolved over the years I have been fortunate to know you. This is definitely you! Your works are an explosion of creativity. Your new site is absolutely delicious to look at Melanie. Of course you already know I love you work…now a space to wander through at leisure to enjoy. Bravo!